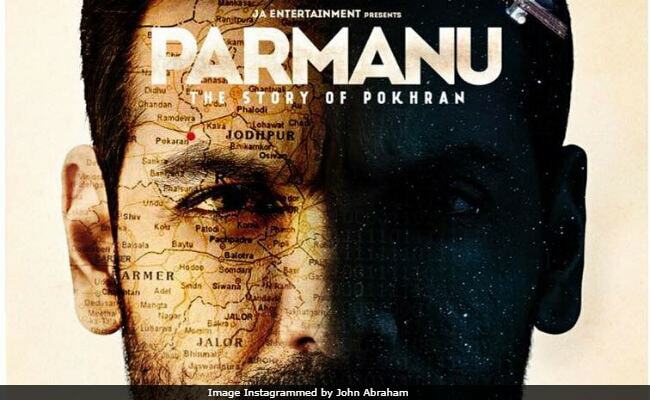 John Abraham wrote, "The ultimate countdown to the mission begins"
John Abraham, who is gearing up for the release of his upcoming film Parmanu: The Story of Pokhran, shared a new poster of the film on Instagram. He also announced that the film, which was earlier scheduled to release on April 6, will now hit the screens on May 4. John Abraham captioned the post, "The ultimate countdown to the mission begins. A thrilling journey of patriotism & pride launches on 4th May 2018. #1MonthToParmanu but a shocker drops your way tomorrow itself!" He also tagged his co-stars from the film Diana Penty, Boman Irani and director Abhishek Sharma in the post. "Finally the wait ended" and "John is back," are some of the comments on the actor's Instagram post. If you noticed, there is no mention of KriArj Entertainment in the poster. John Abraham's production house John Abraham Entertainment and KriArj Entertainment had fallout over 'material breaches,' reported news agency PTI. "Delay in payments/non-payments, have caused delays in the post production work after the film's principal shoot was completed by us in time and on schedule last year," read an excerpt of the notice published by JA Entertainment reports PTI. In response to the news of alleged termination of the partnership between JA Entertainment and KriArj Entertainment, the latter said, "Please note that the said termination is illegal and invalid. Our rights in the film as a joint producer/presenter and owner of all rights are fully secured, we have always fulfilled all our commitments till date and have clear intent to continue doing so," reported PTI. KriArj Entertainment has now lodged an FIR against the actor and his production house. mid-day reports that KriArj has accused JA Entertainment of duping them out of crores of rupees that were invested during the filming. The principal shooting of Parmanu: The Story of Pokhran was completed in 2017. Parmanu's release date was rescheduled multiple times to avoid clash with Deepika Padukone's "Padmaavat", Akshay Kumar's PadMan and Anushka Sharma's Pari. Parmanu: The Story of Pokhran is based on the nuclear tests conducted at the Indian army's Pokhran Test Range in May 1998.